• and 38 buildings and 18 residential yards torn down due to being contaminated with radiation at elevated levels. 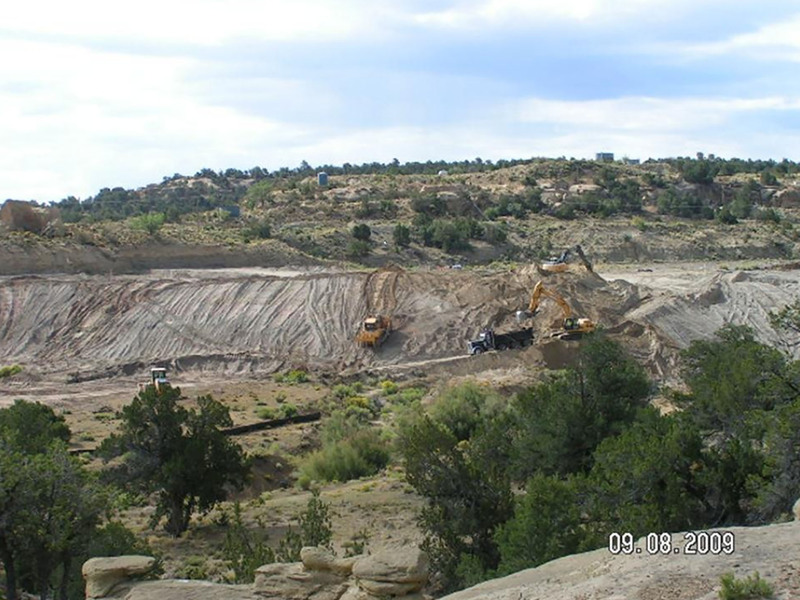 WASHINGTON – The people behind Clean Up the Mines understand that others have been trying for years to clean up abandoned uranium mines and have mostly met with limited success. But they say that doesn’t mean they shouldn’t keep trying. The grass-roots advocacy group of environmental, Native American and other organizations launched in April with the goal of getting Congress to mandate cleanup of the more than 10,000 abandoned mines in the country, at least 500 of which are on the Navajo Nation. Key to that effort is a proposed piece of legislation, the Uranium Exploration and Mining Accountability Act, that would require a complete inventory of the thousands of abandoned mines in the U.S. It would be the first bill specifically addressing uranium mining, said Charmaine White Face, who drafted the proposal and is coordinator for Defenders of the Black Hills. She said Clean Up the Mines formed after several native communities in South Dakota shared concerns that abandoned mines had contaminated their water supply. Benally said the group is using social media and public engagement to help people understand the severe threat created by exposure. The U.S. Environmental Protection Agency lists bone cancer, lung cancer and impaired kidney function as possible health effects. Johnnye Lewis, a researcher at the University of New Mexico, said a study analyzing the health of communities near the mines on Navajo territory is just starting to get back data, but that she and her team have already found small amounts of uranium in the urine of mothers and children. The federal government has tried tackling abandoned mines on Navajo Nation before. The EPA worked with other federal agencies to create a five-year plan from 2008 to 2012 to address what it called the most significant concerns on Navajo land. 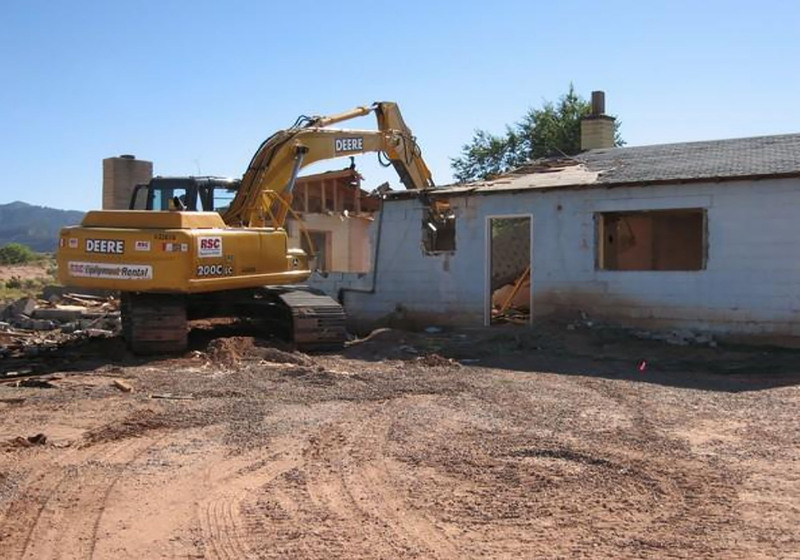 That program cleaned the Skyline Mine in Monument Valley, Utah, closed three contaminated water wells and destroyed 34 buildings found to have elevated levels of radiation. The EPA is planning to release another five-year plan this fall that would address 43 high-priority mines, among other issues. Lillie Lane, a spokeswoman for the Navajo Nation EPA, said a new five-year plan would not only clean more mines but would have a better grasp of the challenge. But Lewis said it’s “not only a Navajo problem,” it’s one that affects many other parts of the country. “It’s actually a very widespread problem, and a lot of it affects tribal communities throughout the West, as well as rural populations,” she said. Benally said Rep. Raul Grijalva, D-Tucson, supports the cause of Clean Up the Mines, but that more people need become aware. Benally, originally from Black Mesa, said he has ties to the issue because his family worked in the mines on Navajo Nation. One of the biggest issues when it comes to cleaning the mines, though, is money. White Face said her primary concern right now is not the money, but letting people know that these mines pose a risk to everyone. “I don’t know why nothing has been done about these before, because they are so old,” she said. 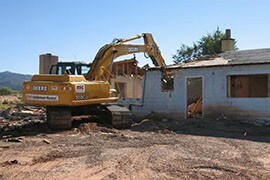 A backhoe demolishes a building on the Navajo Nation that was contaminated by radiation exposure from abandoned uranium mines. The EPA reported that during the five-year plan it demolished 38 buildings because they were contaminated. 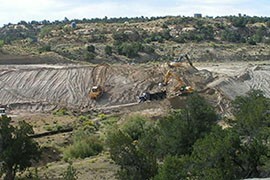 Crews clean the contaminated North East Church Rock mine on the Navajo Nation in 2009. The cleanup was part of the EPA's five-year plan meant to address the most significant issues surrounding abandoned uranium mines on Navajo lands.